Are your windows working for your home, or are they just pieces of glass embedded in your wall? You deserve windows that fit your home and the environment in which you live. 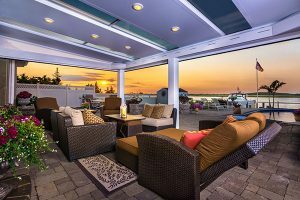 That’s why you should consider replacement window installation from Four Seasons Sunrooms in Central PA.
What Makes Four Seasons Windows Special? Our windows are designed based on your local climate, so the glass in your windows are exactly suited to the kind of temperature ranges your home experiences. We also design our energy-saving windows to the most exact specifications, exceeding even the toughest building codes and energy standards. We incorporate the strongest frame and glazing materials available to us, as well as the state-of-the-art window technology. We stand behind every one of these windows, so much so that they come with a lifetime-limited warranty for as long as you own your home. The warranty covers accidentally broken glass and is transferrable to the next homeowner. 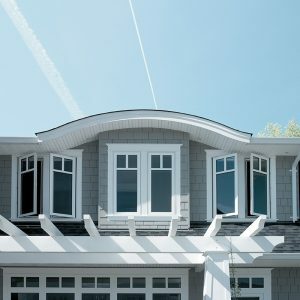 These highly energy-efficient windows include the maximum allowable amount of Titanium Dioxide in the UPVC (Unplasticized Polyvinyl Chloride) to give you an extremely high level of UV protection and impact resistance. Add to that 80-mil extrusion web and the maximum number of individual air chambers, and you have window frames and sashes that give you a higher level of strength and energy-efficiency. Double-Hung Windows. Plenty of window companies offer double-hung windows, but ours have an original look with a patented European-style and advanced engineering, along with that high-level of energy-efficiency and durability you won’t get from other windows. Casement Windows. If you’re looking for something a little different for your replacement window installation, try our casement windows. These stylish, easy-to-operate windows with double-stair-step edge construction are perfect for ultimate protection from the elements. Sliding and Picture Windows. If you’re seeking sliding or picture windows, our energy-saving sliding windows come with a unique ergonomic design featuring windows that easily glide along two pairs of brass rollers on a reinforced rail system. Available in two-lite or three-lite sliders and boasting the highest American Architectural Manufacturers Association rating of any sliding window in the same class. Our picture windows can come in whichever shape best suits your home, from trapezoids to ellipticals and more. Bow and Bay Windows. Naturally, we offer bow and bay windows with the same great look, energy-efficiency and durability you will come to expect in all our window products. Awning Windows. Our simple, elegant awning windows save energy and operate smoothly and easily for your ultimate convenience. 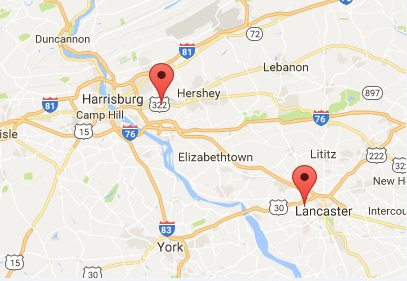 To learn more about all of our different replacement windows and their many features, call us at 717-564-2244 or contact us online!